In a continuation of a time-honored Philadelphia tradition, 2017 first overall draft pick and most recent 76ers savior Markelle Fultz will miss early developmental playing time following a lower leg injury. 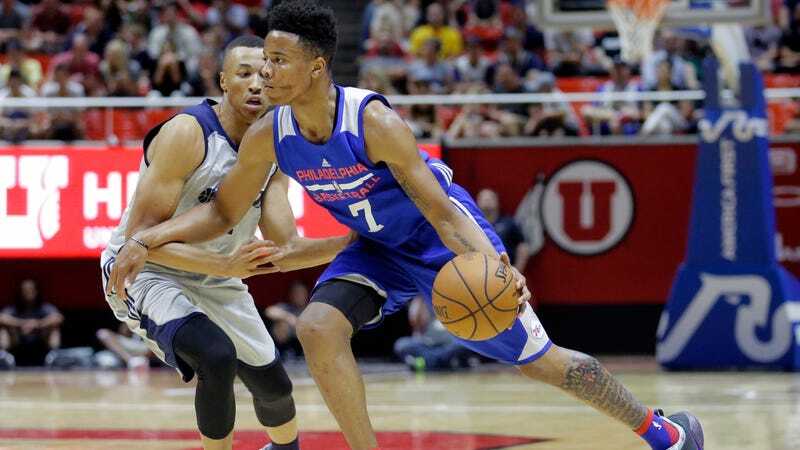 Summer League is mostly a bunch of bozos throwing the ball off the side of the backboard, but it is nevertheless an important first opportunity for young players to get a taste of professional basketball, and this is a definite setback for Fultz. Thankfully, the injury looked worse than a simple sprained ankle when it happened Saturday, and the two-week timetable suggests this is as much about caution as anything else.